In this context a lattice is a mathematical structure with two binary operators: \/ and /\. We can define them using the concept of 'order', that is, as a partially ordered set (poset). We can define them using algebraic identities. This lattice structure can be visualised as a diagram with nodes and lines between them, this diagram is called a Hasse diagram. This has some similarities to a graph structure however the lines in a lattice structure have a notion of 'ordering' and there will be a highest node at the top and a lowest node at the bottom. A big application of mathematical lattices is when factoring is involved somehow. If a lattice represents a completely ordered set (a>b or a<b is valid for any two elements) then the lattice is just a vertical line. A lattice is a partially ordered set in which any two elements have a least upper bound and a greatest lower bound. 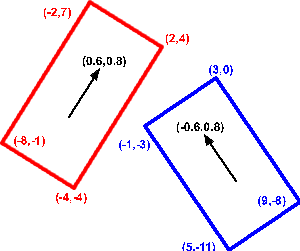 the join operation represents the least upper bound of an arbitrary set of elements. 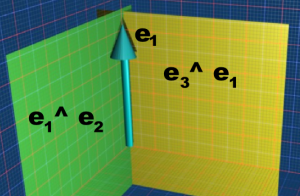 the meet operation represents greatest lower bound of an arbitrary set of elements. A partially ordered set where the join of any two elements always exists is a join-semilattice. A partially ordered set where the meet of any two elements always exists is a meet-semilattice. The relational product r o s of two binary relations r,s on A is given by <a,b> r o s iif for some c: <a,c> r <c,b> s.
If a poset/lattice has completeness properties then it can be described as an algebraic structure. The presence of certain completeness conditions allows us to regard the formation of certain suprema and infima as total operations of an ordered set. It turns out that in many cases it is possible to characterize completeness solely by considering appropriate algebraic structures in the sense of universal algebra, which are equipped with operations like \/ or /\. By imposing additional conditions (in form of suitable identities) on these operations, one can then derive the underlying partial order exclusively from such algebraic structures. there are also distributive laws which may, or may not, apply for a particular lattice. From this diagram we can create two operations [type signature of (int,int) -> int] called meet and join. In meet we go upwards in the diagram, from each of the nodes representing the operands, to find the first common node where they first meet. In join we go downwards in the diagram, from each of the nodes representing the operands, to find the first common node where they first join. Warning: different sources somtimes reverese the way that /\ and \/ are used so I am not sure which is the best standard to use? 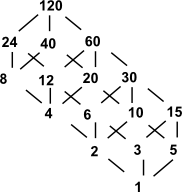 the Boolean lattice defined from the family of all subsets of a finite set has this property. 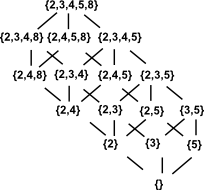 any finite topological space has a lattice of sets as its family of open sets. In the mathematical discipline of order theory, a complemented lattice is a bounded lattice in which every element a has a complement, i.e. an element b satisfying a \/ b = 1 and a \/ b = 0. Complement law: a¬ \/ a = 1 and a¬ \/ a = 0. Involution law: a¬¬ = a.
Order-reversing: if a ? b then b¬ ? a¬. Implementing Lattice using FriCAS/Axiom computer algebra system.